Anyone heard of this company? Wonder if MB is onto this technology....if it is verified. 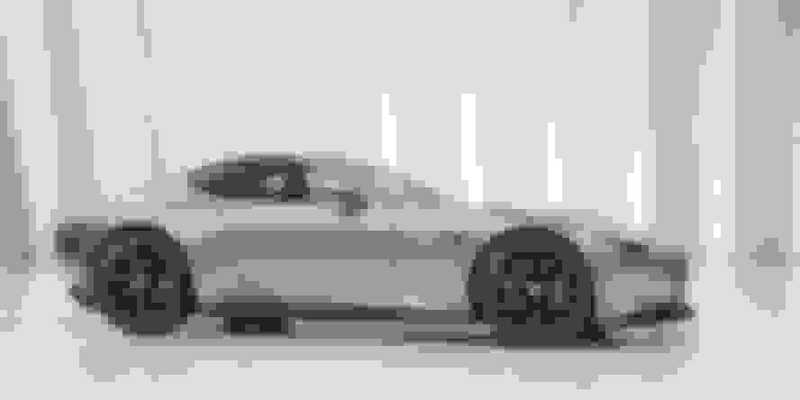 Piëch Automotive will unveil the Piëch Mark Zero electric sports car concept at the Geneva Motor Show this week. The Mark Zero is the first of a family of products to be brought to market by Piëch Automotive over the next three years. Three vehicle variants are in planning: a two-seater, a four-seater and a sporty SUV. Other concepts such as convertibles or pick-ups are also conceivable. A flexible and open vehicle architecture allows the use of a variety of drive systems—electric drive, hybrid, fuel cell or internal combustion engine. The Piëch Mark Zero is an electric GT with a range of 500 km (311 mi) according to WLTP. Acceleration is expected to be 0-100 km/h in 3.2 seconds, with a top speed of 250 km/h. A special type of battery cell hardly heats up during charging or discharging phases. Significantly higher currents can flow as the cell temperature rises only marginally. In addition to conventional CSC charging, the fast charging mode allows for a sensationally short charging time of only 4:40 minutes to 80% battery capacity with an exceptionally high recuperation rate. Because of the reduced heat build-up, the batteries can be cooled by air alone. This contributes to an overall weight reduction of around 200 kg, resulting in a total vehicle weight of under 1,800 kg. At the front axle, an asynchronous motor delivers 150 kW, while at the rear axle, two synchronous motors produce 150 kW each. Piëch Automotive’s battery partner is the DESTEN Group Ltd., based in Hong Kong, China, with a research and development center in Qingdao, China. DESTEN offers innovative cell and batterypacks which feature extremely short charging times combined with low temperature development. Now DESTEN wants to roll out their battery and cell competence gained in the consumer sector in the automotive industry. Due to the placement of the batterypacks (one in the center tunnel, the rest at the rear axle), weight distribution and handling are expected to be similar to that of a conventional sports car with a combustion engine. In contrast to the widespread placement under the floor, this allows a low seating position typical of a sports car as well as precise handling, giving the driver immediate feedback. where is the original article from? as that is a whole bunch of power moving into those batteries and would take huge amperage amounts that would be scary for person. I hope that is typo. It's not even possible at 5 minutes to charge 80%. If it has a 100kwh battery (same as tesla) and can charge at 80% in 5 minutes, the electrical service at your house would have to be 120 volts at 8,000 amps. Normal house voltage is 120 at 100 or 200 amps. Last edited by seamus2154; 03-05-2019 at 03:58 PM. Radio Controlled Car racers charge their batteries in about 20 minutes, and the batteries see a 100ºF temperature rise during the charge. We charge at 20A through the pack from 12V DC (car battery on a continuous charger). In the race, the batteries are completely consumed at 4 minutes, after putting out nearly 100A when the throttle is full depressed. The batteries are "smoking hot" after the race (close to 200ºF) and we use a pack only once a week. Given the number of cells in an E-car battery, and some clever electronics, I could see getting 4,000A into the various cells, as long as there are 200 sub-groups of cells in which to dump 20A each. What I can't see is getting that much power out of the wall. Well the 80% in five minutes caught me! Quick Reply: Car Charging In 5 Minutes?